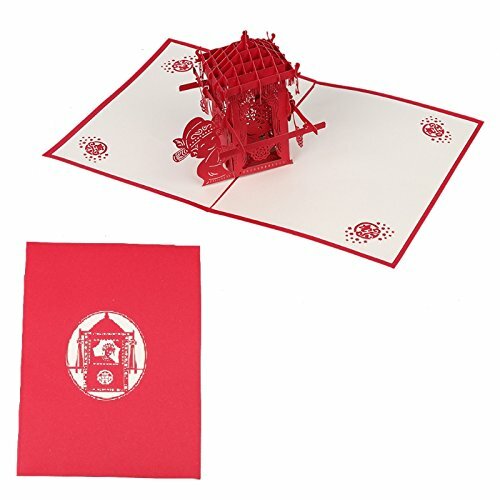 Pop-up customized greeting card,writing down the wonderful and special greetings you want to say. However, creative gift greeting card will be the carrier of your words. If this carrier in three-dimensional paper card, there will be more surprises,more fantastic. Suitable for Invitations,Letter,Birthday,Christmas,Thank you,Seasons Greeting,Mothers day,Wedding and so much more. Note: 1.Please allow 1-3cm error due to manual measurement. pls make sure you do not mind before you bid. 2.Due to the difference between different monitors, the picture may not reflect the actual color of the item. Thank you!